A short article on the most-taxed mangaka (a list topped in 2005 by Rumiko Takahashi). There are probably more recent lists that would be likewise interesting to see and almost certainly include Oda Eiichiro, though I couldn’t find them with a casual google. 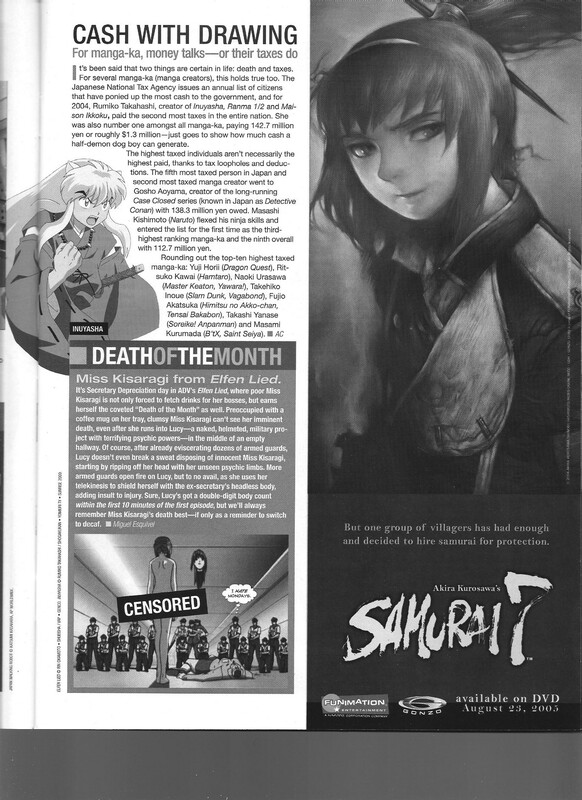 This entry was posted in Old Magazine Articles and tagged Borderline Plagarism for the Freedom of Information, Manga, Manga Authors, Rumiko Takahashi by torisunanohokori. Bookmark the permalink.